Continuing Care Retirement Communities demand a complex set of business and social skills from all employees – especially those in executive and management roles.  Since 2001, MedBest has helped countless long-term senior living facilities fill crucial permanent positions with a recruiting process specific to the senior care industry. As our loved ones begin to age, finding the best care for them can become a daunting task. Studies have shown that moving is one of the biggest stressors throughout a person’s life. Continuing Care Retirement Communities (CCRC) offer several levels of healthcare all located on a single campus. As residents continue to age, their healthcare needs typically progress. A Continuing Care Retirement Community allows a person to age in place, ultimately providing security for the family and the resident, and preventing the stress related to moving. Having several levels of care available on one campus is incredibly beneficial but also provides unique challenges within leadership positions. Management must understand the art of balancing business with social relations. The CCRC is supposed to alleviate stress from its residents. Managers must have the skills and social presence to aid in providing calmness and confidence to the residents. Residents can rest assured knowing if their needs change in the future, they will not have to move to another facility. Independent Living (Residential Living): Residents who do not require everyday assistance. Assisted Living: Offers minimal help to those who need assistance with daily activities. Rehabilitative: Provides Skilled Nursing services on-site for residents needing rehabilitative services. Memory Care: For Dementia/Alzheimer’s residents; consists of specially designed living spaces and environments. How Can MedBest Help My Long-Term Healthcare Business? What sets MedBest apart from other recruiting firms is our commitment and history to this industry. Whether it is a private, public, faith-based, for profit, or not for profit business, we will find our client the perfect executive or manager. Before making the jump to the healthcare recruiting world, our team members were working in the niche of senior healthcare. With over 80 years combined experience, your business has been our business for decades. We are healthcare executives placing healthcare executives. MedBest Advantage: A comprehensive 25 step recruiting process. After interviewing and researching our client’s expectations, we prescreen all our candidates during the first stages of the recruitment process. After locating the best talent options for our clients, our experts interview and conduct background and reference checks to narrow down the choices to a few possible candidates. The client then interviews only these matches. Typically a client only has to interview two candidates before presenting an offer to one. This process has proven to save our clients both time, hassle and most importantly, revenue. MedBest Premium package: In addition to our 25-step process, personality testing is also completed to guarantee a successful long-term placement. This testing also eliminates potential workplace conflict and can assess how candidates handle different situations that may arise. When the full MedBest Premium recruiting process is deployed, it boasts an astounding 92% long-term success rate. Looking for placement in the ever-growing field of senior healthcare? Visit our job board to apply for a position!